Twitter is a bit of a crazy thing. 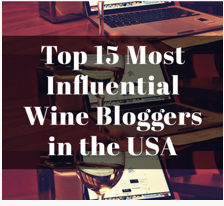 I do not pretend that I have figured it out (although I do think it is a lot like middle school—trying to accumulate followers and spreading gossip via short little notes), but it can be a useful medium, particularly for wine bloggers. After exchanging a couple of tweets, I had set up an appointment for the following day at Cline. I looked behind me. There was no one there. Immediately I thought about all the times I got off a plane and was tempted to just walk up to a car service and let them know that I was the name on the placard, assuming the identity of whomever they were waiting for. At Cline, I thought about saying “Indeed!” (I figured that was something that a VIP-type would say) and just seeing where it would take me, but as with all those moments at the airport, I wimped out. The main tasting room at Cline. “Um, no, I don’t think so” I responded. The fact that I was a VIP was certainly news to me–but maybe Cline, unlike the high standard they set for their wines, has a rather low bar for applying the VIP term to visitors. Regardless, I soon met Helen and after a bit of bantering about, I headed for a different tasting room, where Cline welcomes their wine club members. Over the next couple hours on that Thursday afternoon, I tasted through the Cline portfolio as a steady stream of wine club members filtered through to pick up their monthly allotments. 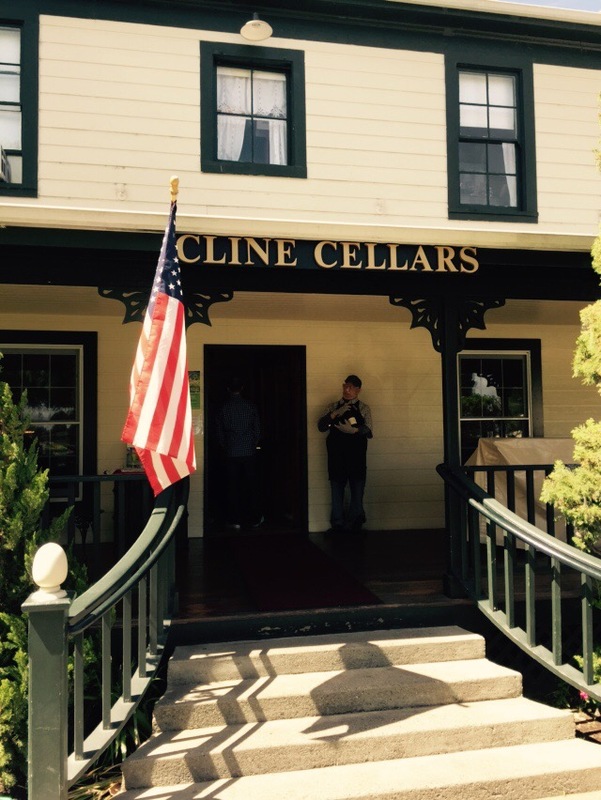 2013 Cline Chardonnay: Retail $18. Lightly Oaked. Bright tree fruit and a hint of vanilla. Nicely balanced. $18? Easy. Very Good. 87-89 Points. 2013 Cline Pinot Gris: Retail $15. Grapefruit and melon on the nose. On the palate a bit viscous in the French style with a somewhat flinty finish. Very Good. 86-88 Points. 2013 Cline Marsanne Roussanne: Retail $20. 70% Marsanne/30% Rousanne. A great tropical nose. Round initially but finishes with a nice burst of acidity. Very Good Plus. 88-90 Points. 2013 Cline Estate Viognier: Retail $20. Orange pulp and cream. Classic Viognier but a little light on the fruit. Very Good. 86-88 Points. 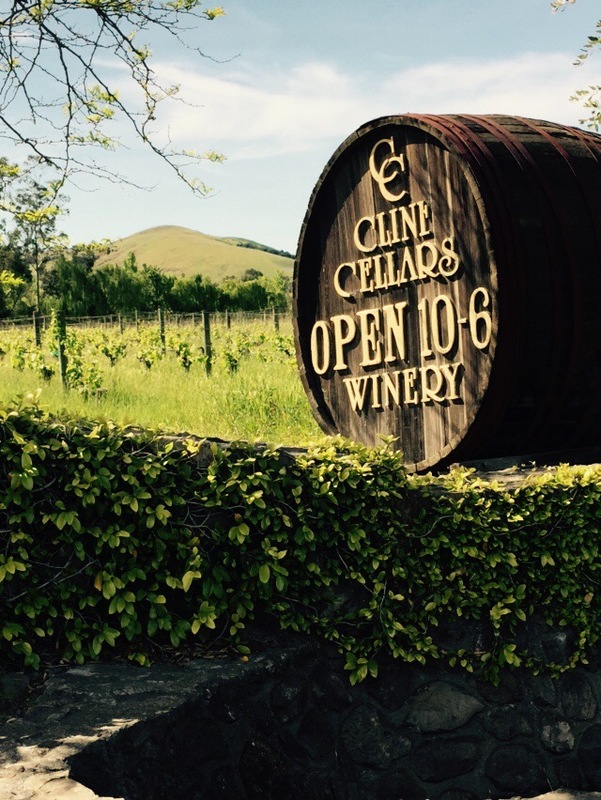 2014 Cline Estate Viognier: Retail $20. Different ball game. More tree fruit and a hint of dried apricot. On the palate much bigger fruit. Really nice. Impressive. Outstanding. 89-91 Points. 2014 Cline Mourvèdre Rosé: Retail $14. Pressed fruit. Fruity nose of strawberry and bing cherry. I think there is the slightest hint of residual to round out the acidity just a bit. $14? Buy it. By the case. Very Good to Outstanding. 88-90 Points. 2013 Cline Ancient Vines Mourvèdre: Retail $22. Julie said they used to have an accent aigu at the end (Mourvèdré) and she told them to take it off (which mad me instantly love her). Rich fruit nose of plum jam. On the palate really big fruit. Jammy is not enough to describe it. 100 years plus vines. If you like big you will love this. Outstanding. 90-92 Points. 2013 Cline Ancient Vine Carignane: Retail $23. Plum and cassis on the nose. Another rich one that the tasting note called “medium bodied.” Really? Not as big as the Mourvèdre but plenty big. Black pepper on the finish. Outstanding. 89-91 Points. 2012 Cline Meadowbrook Ranch Zinfandel: Retail $60. A huge price for Cline but it is worth it. Blackberry pie with some allspice. Seamless on the palate with a hint of grip on the end. Outstanding. 92-94 Points. 2013 Cline Merlot: Retail $22. Green pepper and olive and small red berry fruit. Another solid offering that would brighten right up with some pork or braised beef pappardelle. Very Good. 88-90 Points. 2012 Cline Cool Climate Syrah: Retail $20 (on sale at the time in the tasting room for $15). Smoky and meaty with some spicy raspberry coulis. Very different from the typical Cline profile. I like it. Restrained and elegant with plenty of earth. Outstanding. 89-91 Points. 2013 Cline Ancient Vines Zinfandel: Retail $20. Mocha and raspberry. Fruity and spice. $20? Another case buy perhaps. Very Good to Outstanding. 88-90 Points. 2012 Cline Bridgehead Zinfandel: Retail $37. Blackberry ice cream on the nose. On the palate? Blackberry pie a go-go with some tannic grip. Outstanding. 90-92 Points. 2013 Cline Grenache: Retail $60. Grown near a eucalyptus grove. The eucalyptus pollen lands on the fruit and gets crushed with it. Really comes thru on the nose and the palate. Minty and fresh without being terribly big. Outstanding. 91-93 Points. 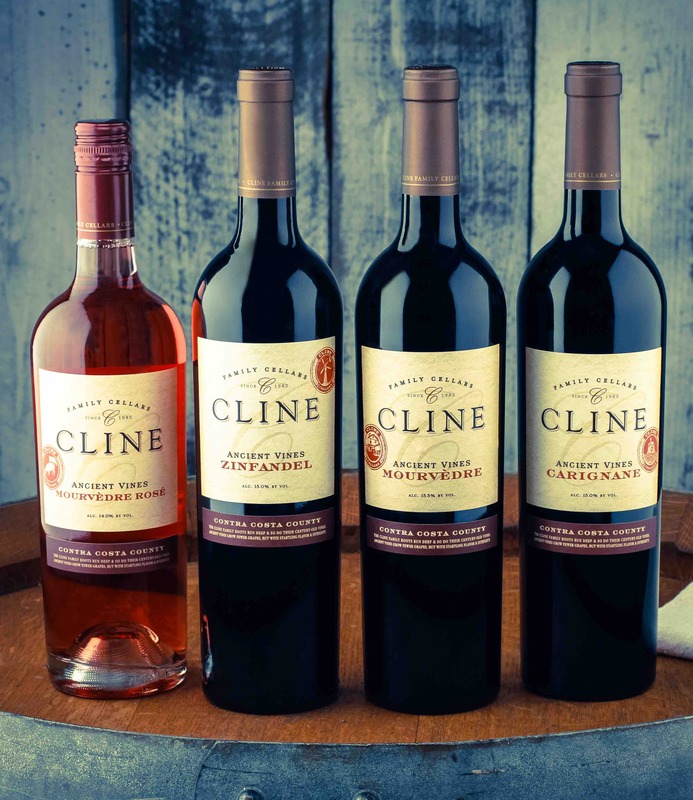 2013 Cline Heritage Zinfandel: Retail $43. Could be my fave. Most reserved fruit. Don’t get me wrong, still fruit. But great balance and tannin. Outstanding. 91-93 Points. Many thanks to Julie and Carolyn who put up with me and all my questions in the tasting room. And a special thanks to my Twitter pal Helen, I hope to see you all again soon! This entry was posted in Cabernet Sauvignon, Carignan, Chardonnay, Grenache, Marsanne, Merlot, Mourvèdre, Pinot Gris, Rosé, Roussanne, Syrah, Viognier, Wine, Zinfandel and tagged Cline Cellars, tasting room, Twitter. Bookmark the permalink. Merciful heavens! That’s a LOT of wine tasting for one afternoon. Glad to have the benefit of your tasting. Although whites are not my favorite, I do like Roussanne, and also some Viogniers. The 2014 Viognier sounds yummy. I’ll keep an eye out at the local wine stores. I could never have made it through without spitting–people were looking at me as if I were crazy to spit it out, but you have to! Reblogged this on the drunken cyclist. There introductory line is good starter values. I usually drop your “name” when I taste around Sonoma County, but so far it hasn’t gotten me anywhere. Ha! You really know how to hurt a guy! I will try harder! I met the Clines when they were showing their wines in Dublin, lovely people – and lovely wines! While I have never met the Cline’s I really do respect the quality of wines they produce and their commitment to keeping them affordable.